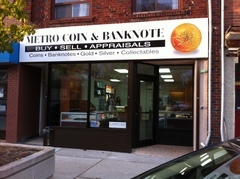 Metro Coin & Banknote Company Ltd. is Toronto's coin and banknote store. 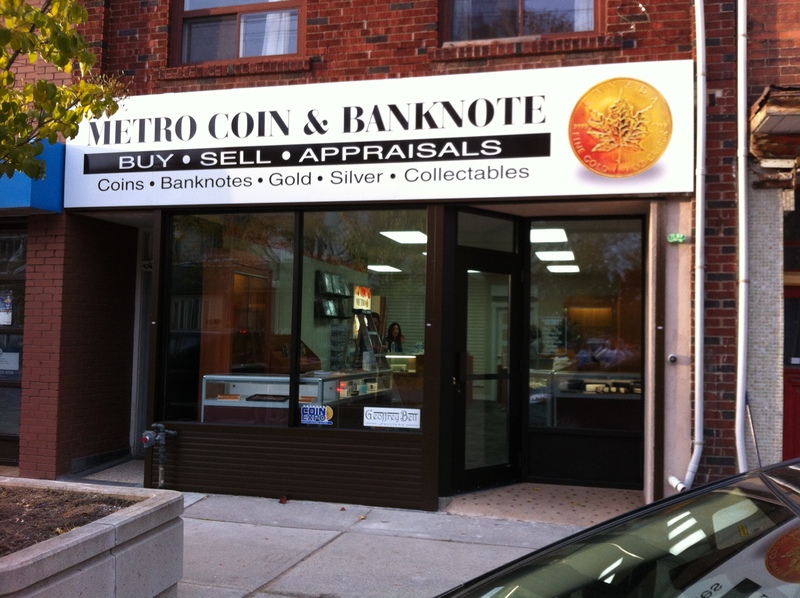 We buy and sell coins, banknotes, gold, silver and collectables. We do appraisals by appointment. 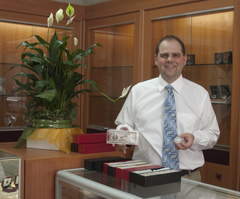 Open from Monday to Friday from 10:00 AM to 5:00 PM and on Saturday from 10:00 AM to 1:00 PM. Closed on Sunday.